Thanks for your participation in making the 2018 SudburyROCKS!!! Race, Run, or Walk for Diabetes a huge success and your support of the Canadian Diabetes Association. Please take a look at our final instructions to ensure all aspects of your run goes as planned. 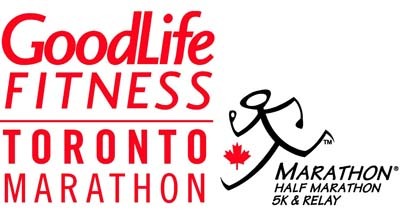 *ALL RACE EVENT LOCATIONS: Sunday May 13 starting on Minto St. beside Tom Davies Square. * Online Registration closes Wednesday May 9 at 11:59 pm. * Manual Registration STILL AVAILABLE and packet pick up for all events at the Race Expo on Saturday only. It was 20 years ago that Richard Holloway of Parry Sound, Ont., made a promise to his mother to begin training to run a marathon. He will be doing his 60th half-marathon this weekend when he travels to Sudbury to participate in the Sudbury Rocks! Race, Run, Walk for Diabetes. In 1998, Holloway's mother, who was on oxygen and preparing for a double lung transplant, motivated her son to become more active. "She was walking on a treadmill training to get her transplant," the 54-year old Holloway recalls. "She said 'You know if I get my lungs you should train and do a marathon,' " he said. Holloway says two weeks later, when his mother received her new lungs, he began training for his first race. His mother died two years after that. "Maybe she had an underlying secret to get me off the couch and get my health in order because she probably knew I was going to get diabetes." 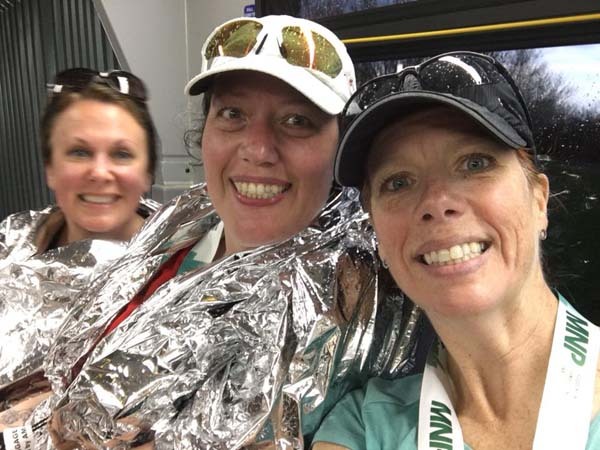 Holloway is registered to run the half-marathon in the Sudbury event, which is scheduled for Sunday, May 13, Mother's Day. "My lucky number is 13. [The race] is on the 13th, and my mom motivated me to run," he said. Holloway will be running alongside two guides. That's because Holloway is visually impaired. "They work as my eyes." He was born with juvenile glaucoma, and has no peripheral vision. He describes his sight as 'tunnel vision'. His eyes are sensitive to the light, and so he wears tinted glasses during daylight. One guide runs in front of Holloway to acts as a pacer, while the other guide is beside him throughout the race. "They run beside me and if anybody is cutting me off they'll push them away or ask them nicely to move...the first two times." Holloway also runs with a sign on his back that says 'visually impaired/blind runner' to notify other participants in the event. Diabetes is an issue Holloway wants to raise awareness about. That's because he's had six friends who have died recently due to complications connected to diabetes. He says he doesn't think people take diabetes seriously, but the illness can affect other things like one's sight, limbs or even someone's heart. "All these people that I've known...that have passed they just didn't respect [diabetes]. I have a lot of respect for diabetes, because I just don't want to go down that road," he said. The Sudbury Rocks! 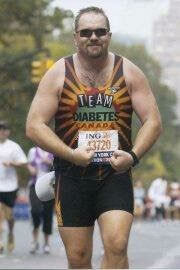 race raises awareness and funds for Diabetes Canada. Holloway says he's been collecting pledges and has over $250 in donations so far. "I've always battled weight...I'm a big guy." Holloway has some advice for anyone who may be interested in starting running or becoming more active. "Anything is possible, that's the way I look at it," he said. "It's like lifting weights, running a marathon or climbing a mountain...if you get yourself off the couch you can do almost anything." The Mississauga Marathon is an event with a strong following. This year the marathon launched a social media campaign called #15yearrunner to celebrate the 15th anniversary for the event. 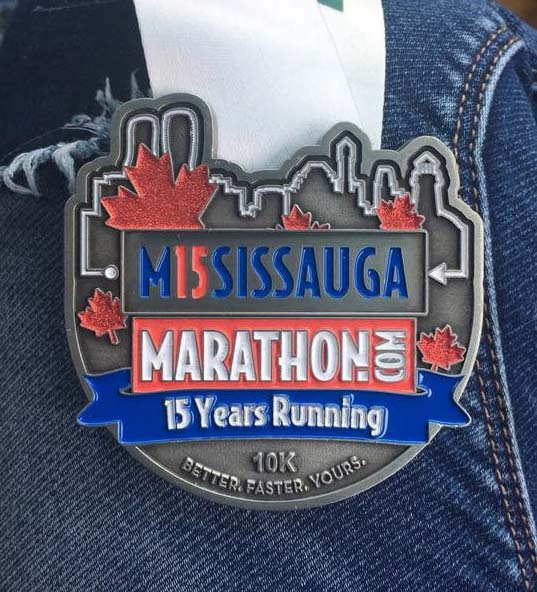 This hashtag showcases runners who are longtime devotees to both the Mississauga Marathon and to running. 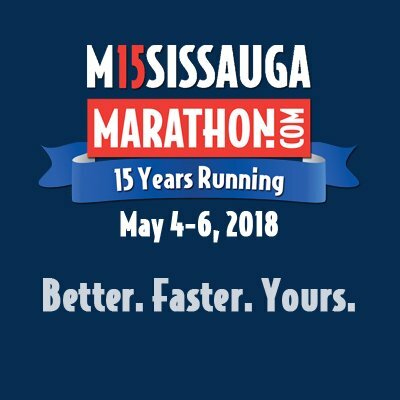 Over 40 participants in Sunday’s race have run the Mississauga Marathon every year since its inaugural event in 2004. I went into this race a bit unprepared but totally optimistic. Realistically I hadn’t trained enough, with my longest run being 8km. I went in hoping for a 1:15, but would have been happy with less than 1:20. We prepared for a hot sunny run, but got a warm, rainy run. Meh...we are Sudburians...we’ve run in worse. And it’s a great course. 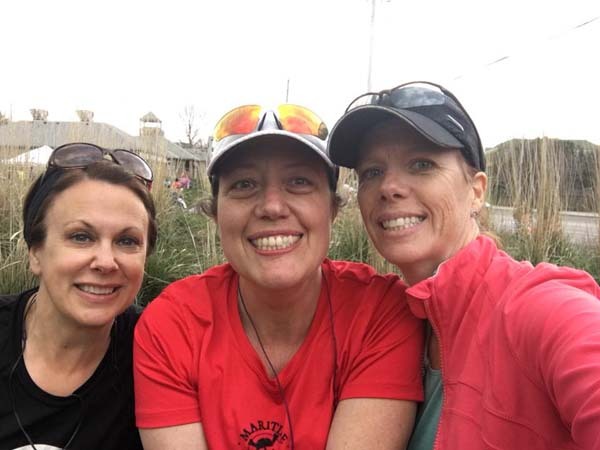 Sharon DeVellis, Denise Wilton Clement and I started the race together but separated at various points to run our own races. Thanks to Denise pacing me for the first 4.2km, I settled into a good rhythm and felt great. Imagine my surprise when I finished in 1:08, well under my ideal goal of 1:15. We were super blessed to have Eric Leishman and Carlee Vendramin there to cheer us in—even though Eric should have been resting for his attempt at a podium finish Marathon (more on that later) . 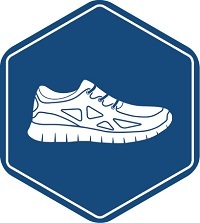 Honestly—Sudbury Running community is the most supportive community. I’m really happy with how the race went and can’t wait to do another. Carlee and Eric, thanks for cheering us in. And congrats on your SECOND PLACE FINISH. We are crazy proud of you. 2018, the year the #TorontoMarathon FINALLY got some luck with the weather! We couldn’t have asked for better conditions and hope everyone had as much fun in the sun as we did! 2018 Toronto Marathon first female over all Julie Hamulecki finished in the impressive time of 2:52.08 ! Great performance today Julie!! Winner, Dave Freake the overall winner of the 2018 Toronto Marathon in a time of 2:33.55. Great job and thanks for coming out Dave! !